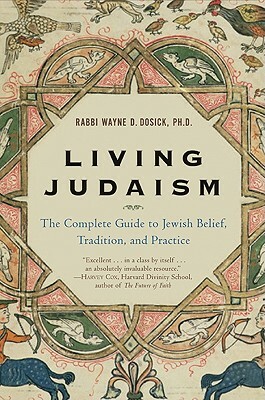 In Living Judaism, Rabbi Wayne Dosick, Ph.D., author the acclaimed Golden Rules, Dancing with God, and When Life Hurts, offers an engaging and definitive overview of Jewish philosophy and theology, rituals and customs. Combining quality scholarship and sacred spiritual instruction, Living Judaism is a thought-provoking reference and guide for those already steeped in Jewish life, and a comprehensive introduction for those exploring the richness and grandeur of Judaism. Rabbi Wayne D. Dosick, Ph.D., is the spiritual guide of the Elijah Minyan and adjunct professor of Jewish studies at the University of San Diego. He is the author of the acclaimed Golden Rules, Dancing with God, and When Life Hurts.